HVAC and AC are two terms that are regularly heard of but few actually know the difference between the two. While they are similar in some aspects and are often used interchangeably, HVAC and AC are two separate things. Wondering why your air conditioner needs a tune-up each season? It is important to ensure that your AC is running properly at all times, especially in Florida’s hot, sub-tropical climate. 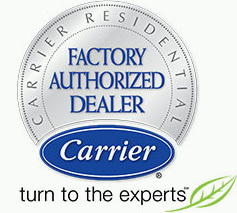 Heating and air conditioning systems are very reliable and provide years of dependable service when properly maintained. Spring is in the air here in South Florida, and that means it is time to start thinking about getting your home ready for the warm weather. Families now have access to a variety of amazing new products that will allow them to remove airborne contaminants from their home and avoid many of the most common respiratory issues such as asthma and seasonal allergies. 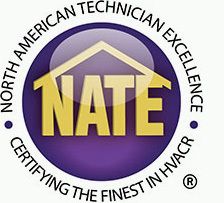 An AC tune-up provides many benefits to the Boca Raton homeowner. Although one of the primary reasons for air conditioning maintenance is energy efficiency, there are many additional reasons for scheduling this preventive service each spring. Unusual odors coming from your HVAC system is not something that you should take lightly. While the smells are most likely harmless, they could be affecting your family's respiratory health. Many families never even think about upgrading or servicing their HVAC system until it breaks. While it might seem like your home’s air conditioner is doing its job, sticking with an old and inefficient unit can cost you in the long run and lead to problems at the worst possible time. Improve indoor air quality in your home or business, it sounds difficult, right? Wrong! Your home's air quality can have quite an impact on your family's health and comfort, and many people do not realize just how many household products they own that are actually harming their IAQ. For many people, January means New Year’s Resolutions, saving after the holiday spending crush, and trying to manage the colder weather.